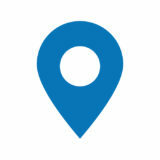 Mobility Solutions Glasgow is conveniently located just 10 minutes from the M8 motorway. Bringing together a wealth of mobility products all under one roof, our spacious showroom has been designed to help people with disabilities or those who are just ageing gracefully. We have a range of specialist beds on display in our Glasgow showroom for you to try. Easy to operate with a handy remote control, our adjustable beds can take the strain out of bedtime, supporting back and joints for a peaceful night's sleep. Profile beds and associated accessories are also available from Mobility Solutions, allowing care to be administered with ease. You can also choose from a variety of specially tailored mattresses, mattress protectors and bedroom accessories including over-bed tables. If you’re looking for mobility products for your living room visit Mobility Solutions Glasgow. We offer a wide range of rise and recline chairs with adjustable backs and foot rests, to restore comfort to your sitting room. With a superb choice of colours and upholstery options, we can help you choose the ideal rise and recline chair which is both comfortable and stylish. High backed chairs, or fireside chairs, are also available to match any colour scheme, with complementary foot stools and tables available to suit your lounge. Everyday tasks needn’t become a chore when such a wide range of daily living aids is now available to help ease the strain. If you’re looking for mobility aids to help with bathing, such as bath lifts, grab rails or bath or shower stools, we have a wide selection available from stock. We also offer an extensive choice of toileting accessories from raised toilet seats and commodes to toilet frames and urinals. There’s also a host of smaller daily living aids on display in our Glasgow showroom, from kitchen and dining accessories like easy use cutlery through to comfort and dressing aids such as button aids and zip pulls. We also stock a selection of extra-wide footwear to suit your taste. 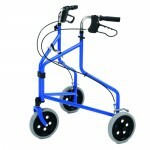 Walking aids come in many shapes and sizes and here at Mobility Solutions we offer them all. From rollators and walking frames to tri-wheeled walkers, our accessible showroom lets you see and try our range before you decide on the perfect model. We also carry an extensive stock of walking sticks, crutches and other accessories. Here at Mobility Solutions Glasgow you can see a wide selection of mobility scooters at first hand. We offer smaller 4mph boot scooters which you can easily fold and transport, through medium sized 6mph mobility scooters, up to larger, road-going 8mph scooters. Take advantage of the opportunity to browse our choice of mobility scooters before trying out your favourites in our extensive showroom. In addition Mobility Solutions is an approved Motability scooter and powered wheelchair dealer, so why not ask our friendly, trained staff for more information. Whether you need a transit wheelchair, transport wheelchair or you’d prefer a self propelled wheelchair, we have a wide choice on display at Mobility Solutions Glasgow. We also carry stock of powered wheelchairs and powerchairs, so why not visit our Glasgow mobility superstore and see our full range under one roof. If you are looking to find a powered wheelchair through the UK Motability Scheme, we’re an approved dealer - simply ask for more information. You can also depend on friendly staff for impartial information and advice on the best models to suit your needs. In conjunction with our sister company, Allied Mobility, Mobility Solutions Glasgow offers the widest choice of high quality, wheelchair accessible vehicles (WAVs) available in Scotland. Allied Mobility is the UK’s largest manufacturer of wheelchair accessible vehicles and you can find out more about all of their most popular models at our mobility superstore in Glasgow. Find out for yourself which model best suits your needs by visiting the accessible showroom at Mobility Solutions Glasgow. We have a full stock of new and used wheelchair accessible vehicles for sale or for lease, via the Motability Cars Scheme. We also offer wheelchair accessible vehicles for hire, on short or longer-term rental. If you’re finding it difficult managing with your standard car but don’t want to lose out on mobility, our huge selection of vehicle adaptations could offer a new lease of life. As a disabled driver, you could benefit from popular driving aids such as a steering ball, push-pull brake-accelerator, left foot accelerator or easy release handbrake. We also offer more advanced technologies, including infra-red driving systems. 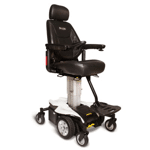 Our vehicle adaptations can help passengers too, notably with our range of manual and electric swivel seats. If carrying your wheelchair is your priority, try our boot hoists or roof-top storage solutions, designed to take the hassle out of travelling by car. All of our vehicle adaptations and driving aids are available to buy direct or through the Motability Cars Scheme. Expert fitting is included, free of charge to you. We also offer adapted vehicles for hire, ranging from smaller compact models to larger family cars and people carriers. 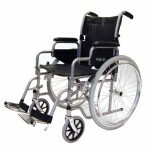 Product offering includes mobility aids, scooters, powerchairs, wheelchairs, footwear, beds and rise & recliners.